Let’s get a few things straight. I like Brewers manager Ron Roenicke. 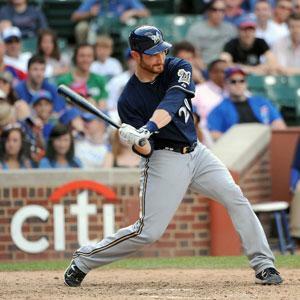 I like Brewers starting catcher Johnathon Lucroy. I like Brewers pitcher Randy Wolf. I like back-up catcher George Kottaras. What I DON’T like is tonight’s line-up. As I take my seat here in the press box at Miller Park in Milwaukee, WI, I take a gander of the line up on the scoreboard in centerfield, and I see back up catcher George Kottaras starting in place of Johnathon Lucroy. Is Luc sick, are his arms tired from having a career day yesterday? 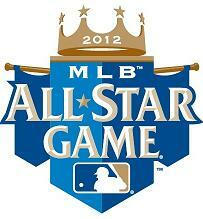 (5/20/12 vs the Twins- 3 hits, 2 home runs -1 a grand slam, 3 runs scored and 7 RBI -which ties the club record). Is he feeling a little “green” from celebrating? Would he prefer to be watching the Bachelorette and see who gets a rose from Emily? No, none of these are true, and anyone who has followed the Brewers for the last year and a half know that when Randy Wolf is on the mound he PREFERS and REQUESTS to have Kottaras as the second half of the battery. In other words, “his own personal catcher.” That’s fine, I guess…but not when you have the HOTTEST bat in the N.L. riding the pines after a career day, and someone who is clearly “in the zone,” I don’t get it. Don’t get me wrong Kottaras is no slouch and has come through big in some clutch situations this season so far, but let’s be realistic, Lucroy, right now, is the man. When someone is that hot, you don’t mess with it. You ride it out regardless of the situation. How many times have we seen managers put in a left-handed batter, merely because there is a right-handed pitcher on the mound? It’s because they want to play the percentages. Well the whole Lucroy/Kottaras scenario is the same. Go with the percentages. Right now Lucroy is batting .342 and .552 (16 for 22) with runners in scoring position (leads N.L.). Roenicke has to do what’s right for the whole team, not just one player. He needs to sit Wolf and Lucroy down find out what the disconnect is, and figure this thing out. If Lucroy keeps up this All-Star pace, he might as well book that flight to Kansas City for July, because he will be heading to the Mid-Summer Classic. This entry was posted in Milwaukee Brewers, sports and tagged All-Star, George Kottaras, Johnathan Lucroy, Milwaukee Brewers, Randy Wolf, Ron roenicke. Bookmark the permalink. You gots to keep your catchers fresh…nothing wrong with a little rest for the knees. Brewers record for May 1st-22nd is 6-14! They have more to worry about on the field.